Inspection of cam shaft mold by CMM. Don is in charge of quality assurance at an OEM that manufactures automotive components. Don has a problem: his company recently received a lucrative contract to produce 30,000 cam shafts for a new engine and Don has just been informed that the first shipment was rejected for being out of specification. 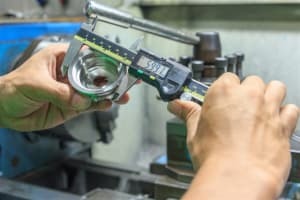 Don’s company has been using a combination of portable measuring tools to check parts on the production line, which had worked well enough until now. Unfortunately, the cam shafts required more measurements with a higher degree of accuracy than the portable tools could provide. Line operators were struggling to keep up with the pace, so they cut corners. 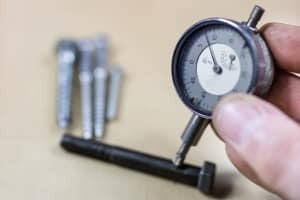 Mistakes made by personnel using measurement devices are a major source of error in metrology, but coordinate measuring machines (CMMs) can reduce it significantly. 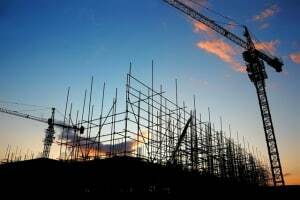 The introduction of CMMs made quality assurance more efficient, more accurate and more flexible. These benefits all stem from their programmability. 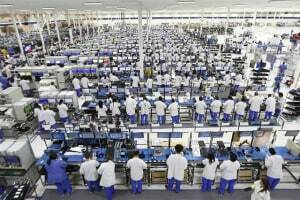 The machines can be set up to fulfill repeated measuring tasks automatically without the need to reprogram them each time. 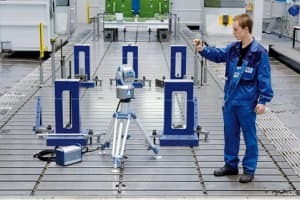 They can also obviate the need to have a variety of measuring instruments for individual jobs, since a single CMM can be programmed to perform any number of measurement tasks. 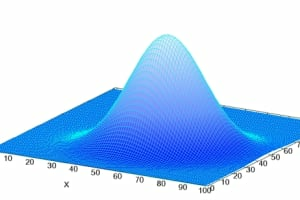 All CMMs have three orthogonal axes (X, Y and Z) operating in a 3D coordinate system. Each axis has a scale that is used to indicate the system’s position or location in space. 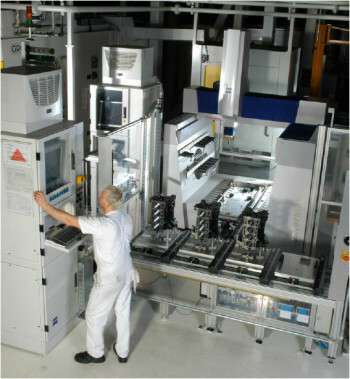 The machines read inputs from a sensing device programmed by an operator or using computer numerical control (CNC). 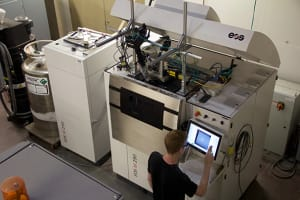 They then use that data to calculate the desired distance measurements (dimensions), geometric shapes (features) and relative position of those shapes (feature relationships) on a workpiece. 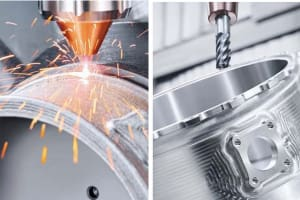 Integrating a CMM into your production process—whether in a lab or on the shop floor—can make a significant difference to the quality of your product, but choosing the right CMM for your application is no easy task. Today, the price range of CMMs varies from around $30K to over $1M, depending on the manufacturer’s specifications. Similarly, the cost of various probe/sensor configurations ranges from a few thousand dollars to tens of thousands. 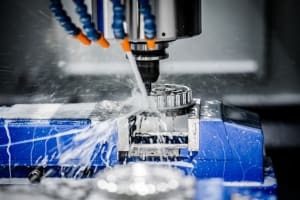 This is why it’s worth seeking professional advice before making a final decision, but there are still some general pieces of advice that can help determine which CMM is best suited to your application. 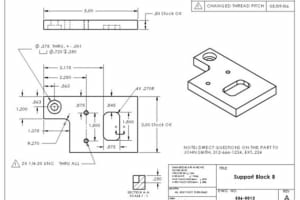 Do I want to bring my parts to the machine or do I want to bring a measuring device to my parts? The answer to this question will depend on what you’re measuring and where you’re measuring it. If you plan on bringing the part to the machine, then you’ll want a stationary CMM. If it’s the other way around, then you’ll want a portable unit (or a stationary one and a lot of muscle). In this article, we’ll focus exclusively on stationary CMMs. 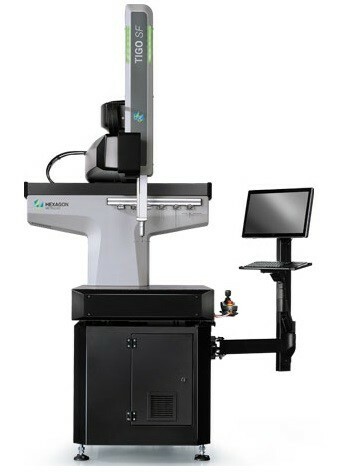 Bridge CMMs are the most common type of coordinate measuring machine. In a moving bridge, the measuring head determines values on the Z-axis by moving up and down on a bridge that spans the machine’s base. The head determines values for the X-axis by moving back and forth across the bridge. Values on the Y-axis are determined by moving the entire bridge over the granite base. 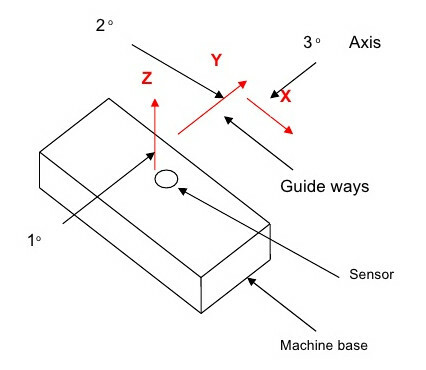 A fixed or stationary bridge CMM determines values on the Y-axis by moving the table, rather than the bridge. The added rigidity that comes from keeping the bridge immobile reduces measuring uncertainty, but because the table needs to be mobile its maximum load is more restricted. At one time, bridge CMMs were difficult to load because they required workpieces to be mounted precisely on their granite base plates. However, these days the CMM coordinate system can be automatically aligned to the workpiece’s coordinate system, which is based on its CAD model. 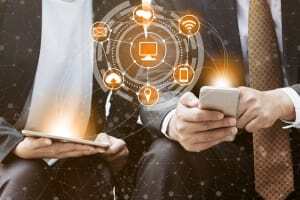 This means that modern CMMs only need to align their coordinate system with that of the workpiece in order to ensure a good starting point, significantly decreasing the time they take to load. 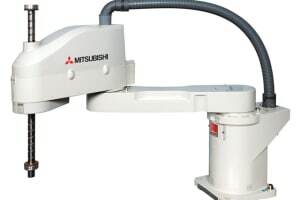 However, the bridge itself still limits the accessibility of these CMMs—so depending on your accessibility requirements, a cantilever or horizontal arm CMM may be the better option. 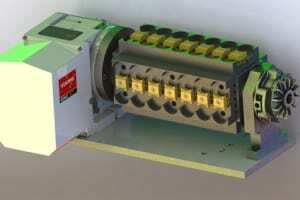 Cantilever CMMs differ from the bridge-style in that the measuring head is only attached on one side of a rigid base. Hence, they are restricted to smaller measuring ranges, since the projecting part of the mobile column must be relatively short in order to maintain its rigidity. However, the column’s large support base combined with its low weight enables cantilever CMMs to move very quickly. 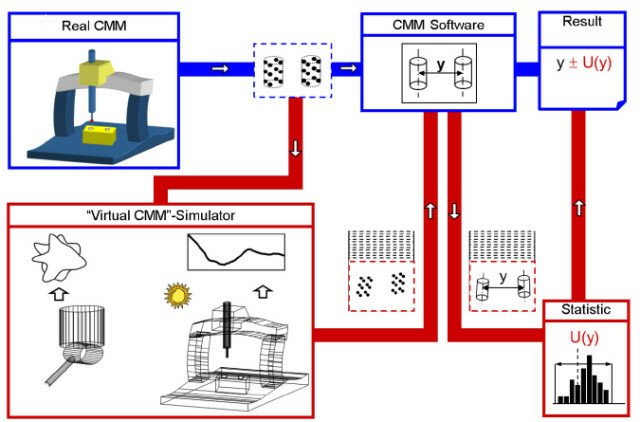 Their high level of accuracy and low measurement uncertainty are the reasons cantilever CMMs are used predominantly for measuring gauges and master parts. Horizontal arm CMMs are less accurate than the other types because their design makes them more susceptible to deformation. However, it also makes them useful for measuring large workpieces or those with hard-to-reach features. 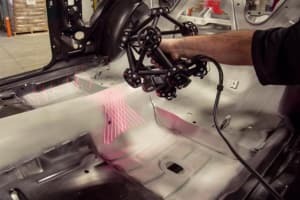 In automotive applications, for example, two arms can be paired to measure both sides of a vehicle’s frame simultaneously as it moves down the assembly line. This is done by synchronizing both machines to the same (automotive) coordinate system. Because of their design, the arms are able to reach features inside the vehicle that would be inaccessible to a bridge CMM. 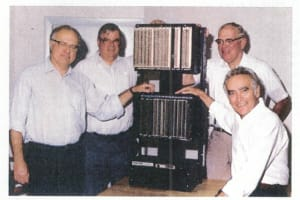 Even though the arms are on opposite sides of the frame, their synchronization with the vehicle’s coordinate system enables the data they collect to be related to a single coordinate system. 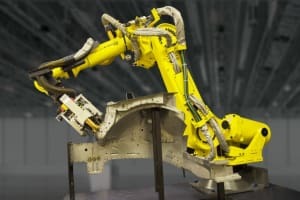 Moreover, the flexibility of the arms allows them to reach inside the vehicle frame to measure features that would be inaccessible to a bridge-style CMM. 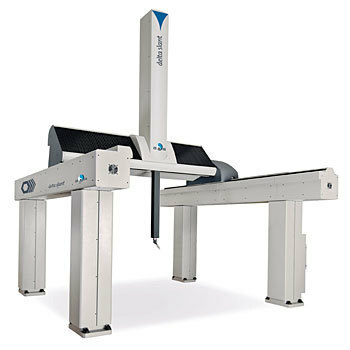 Gantry coordinate measuring machines are structurally similar to bridge CMMs, but tend to be much larger. In the gantry-style, the bridge is mounted on raised pillars, increasing overall measuring volume. 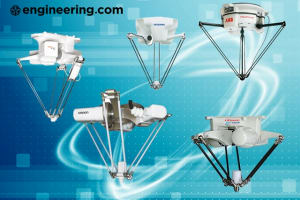 Their structural similarity to bridge-style machines gives gantry CMMs a similarly high level of accuracy. This, in combination with their large measuring volume, is why gantry CMMs are particularly prevalent in the aerospace industry, where components can be large and yet still require a high degree of accuracy. 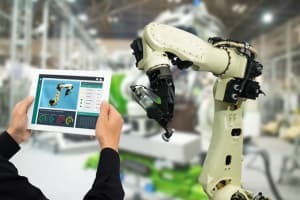 The last decade or so has seen a trend of CMMs migrating out of quality control labs and onto shop floors for what is variably called in-process or in-situ measurement. 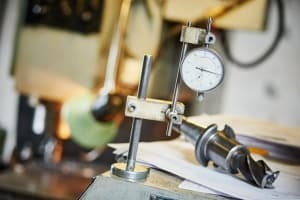 Unfortunately, measurements taken in a quality lab occur at the end of the manufacturing process. If a product is out of specification, there’s no way to tell where things went wrong in the operation. “You want your metrology to be part of the manufacturing process so that you’re providing actionable information as it happens. That way you can adjust the process in almost real time, ensuring a much more consistent process. 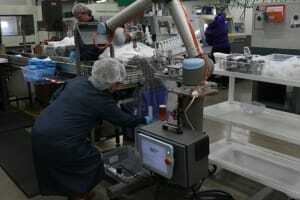 This reduces downtime and increase the overall quality of the product,” Kotnik added. 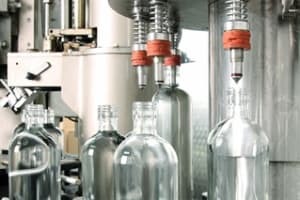 Moreover, maintaining a quality control lab with all the necessary climate conditioning is costly—so unless your applications requires very precise measurements, it may not be worth it. 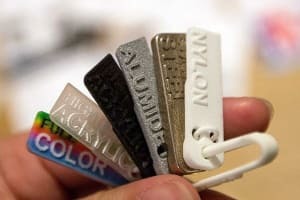 “If you want really precise measurements you still need a measurement lab, but even then the part needs to be the same temperature as the lab, so you cannot bring a part right out of production—which might still be heated—because that will affect your measurements,” said Viering. Ultimately, deciding which stationary CMM is best for your application depends on what you’re measuring and where you’re measuring it. See the table below for a summary of the above information. 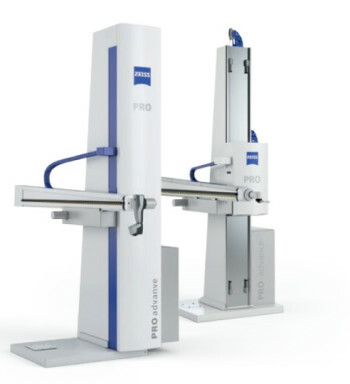 A coordinate measuring machine is only as good as its probe(s). Like CMMs, probes come in several types. 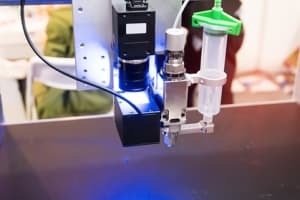 The basic distinction is between contact probes, which measure workpieces by actually touching them, and non-contact probes, which employ lasers or machine vision. The former are more accurate, but the latter are faster to use. There are also multi-sensor probes, which combine touch and optical scanning. 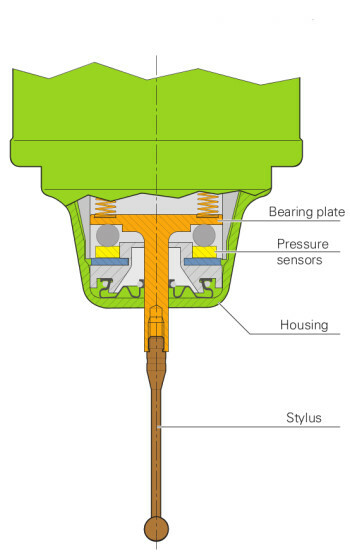 Touch Trigger Probes consist of a stylus attached to a bearing plate connected to pressure sensors inside the probe housing. 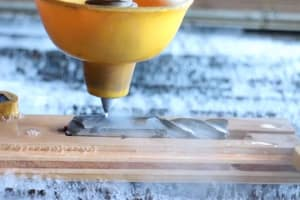 They generate an electrical signal each time they contact a point on the workpiece. The first touch trigger probe was invented by Renishaw founder Sir David McMurty to solve a specific inspection requirement for the Olympus engines used on the Concorde. The probe head is mounted at the end of one of a CMM’s moving axes. It can be rotated manually or automatically and accommodates a variety of stylus tips and attachments. Touch probes are versatile and flexible. 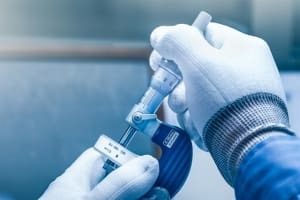 The incorporation of piezo-based sensors eliminated the effect of stylus bending and advancements in strain gauge technology ensured that the probes trigger at a constant force regardless of contact angle with the workpiece. This eliminates directional sensitivity, which gives these probes a submicron level of accuracy. 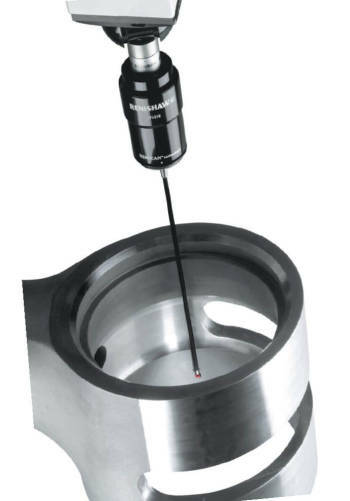 Analog Scanning Probes are also stylus-based and are used to measure contoured surfaces, such as sheet metal assemblies. 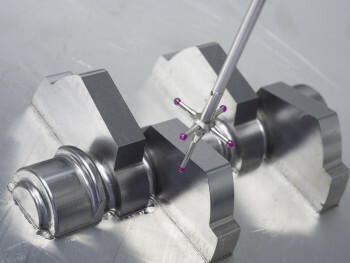 Rather than touching individual points, the probe remains in contact with the workpiece as it is dragged across it, yielding analog measurements. 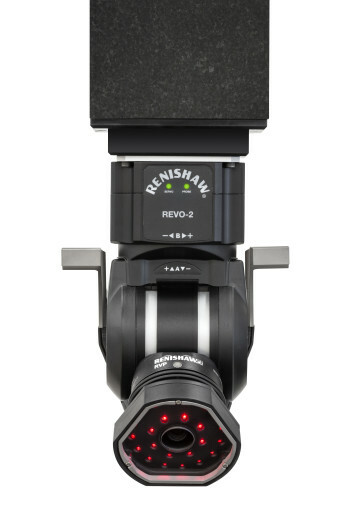 This offers dramatically increased levels of data acquisition. Continuous analog scanning (CAS) probes are based on continuous (rather than point-to-point) data acquisition. They are particularly useful for complex contoured shapes such as crankshafts, cams, turbine engine blades, prosthetics and automobile bodies. One advantage of analog scanning probes over touch trigger probes is that the former acquires 10-50 times more data than the latter in the same amount of time. 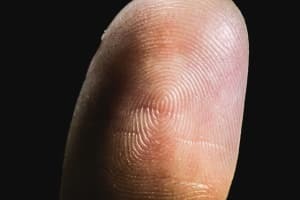 More data means more confidence, which may be needed if there are large gaps between data points using point-to-point probing techniques. A second advantage that comes with using an analog scanning probe is that it can also be used as a touch trigger probe, giving users greater flexibility. Operators can pick and choose which features to touch quickly and which to devote more time to if a particular feature is critical, for example. Non-contact probes are best for parts that are either more complex, smaller, high-precision or easily deformable. They are either laser-based or vision-based. Laser probes work like touch trigger probes but use a concentrated beam of light instead of a stylus. 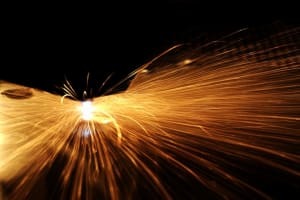 The beam acts as an optical switch so that when it is projected onto the part, the position can then be read by triangulation through a lens in the probe receptor. This is similar to the technique used by surveyors to find a position or location with bearings from two fixed points that stand a known distance apart. Vision-based probes are particularly useful for very small parts, like microprocessors. Rather than measuring the parts themselves, an archetype is electronically digitized to generate accurate dimensions for future workpieces. A high-definition camera then generates numerous measurement points in one frame, allowing features to be measured in comparison with the electronic model by counting pixels. 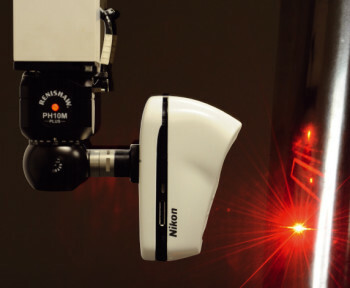 Unlike other probes, which require recalibration, a vision system’s lens only needs to be calibrated once. The main advantage of non-contact probes is that they enable users to collect data from a larger surface area in a shorter amount of time compared to contact probes. However, the trade-off is that they are less accurate. 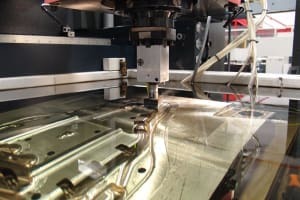 A CMM’s suitability for an application depends on more than just its structure and its probe; it also depends on software. 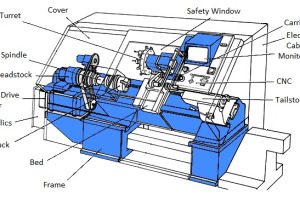 Although there is a standard CMM programming language called the dimensional measurement interface standard (DMIS), it’s not used by every CMM manufacturer, though most at least support it. 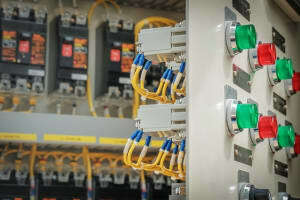 DMIS doesn’t contain all the functionality required for all measurement tasks. 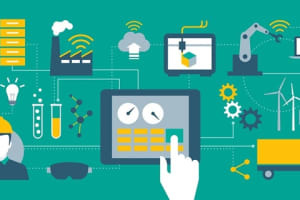 Its limitations have led manufacturers to create their own unique flavors of DMIS for CMM programming and execution. Measurement uncertainty means that it’s impossible to know a part’s true value. 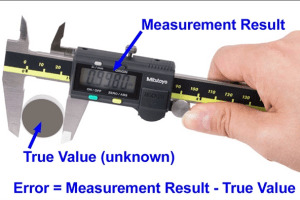 We can only get close to the true value and this is why measurement uncertainty is so important in metrology. 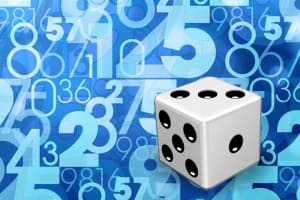 There are several ways to determine measurement uncertainty for CMMs. 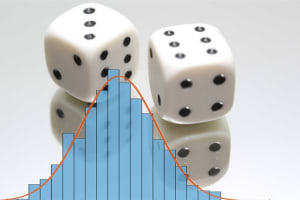 It can be determined experimentally by taking many measurements on a given machine, theoretically by modelling the machine or statistically via, for example, a Monte Carlo simulation. The more accuracy required by a process, the more measurement uncertainty matters. This isn’t just a matter of the size of your parts, but also the size of your part features. Engine cylinders and injection nozzles can be quite large, especially in aerospace applications, but they also tend to have important features that require a high degree of accuracy. 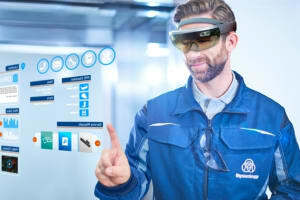 The last 15 years have seen a significant push toward model-based definition (MBD), sometimes called digital product definition (DPD). 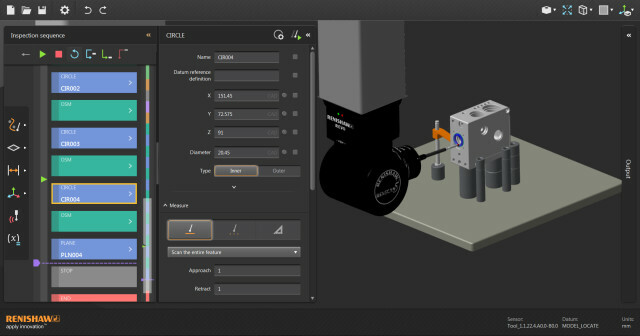 More and more manufacturers are trading master parts for master CAD models with embedded tolerancing, which makes compatibility between CMM and CAD software a crucial issue. 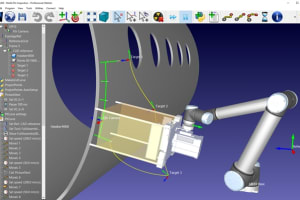 “CMM software has to be able to use the native CAD model information, which means if someone is designing a part in Unigraphics vs Pro/ENGINEER vs SOLIDWORKS, the CMM software needs to be able to read that data,” he concluded. 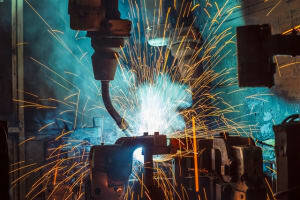 If CAD compatibility is a major concern, look for CMMs with a direct CAD interface (DCI), which gives operators the ability to use CAD data without translating it into another programming language like DMIS. 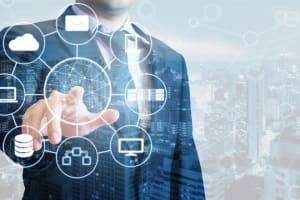 Not all CMMs have DCI; it depends on software. In the end, there isn’t one single factor that will determine which CMM is best for your application. 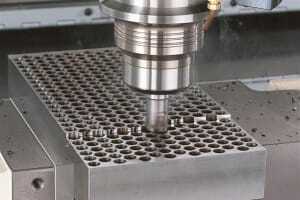 Many factors need to be considered, including CMM type, probe type, software and of course cost. 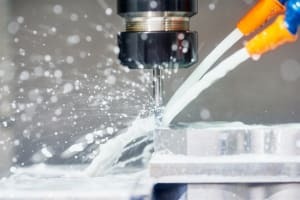 By now, you should have a better idea of what those factors are, but to reiterate the starting point of this article: it’s always worth seeking professional advice before purchasing a CMM.